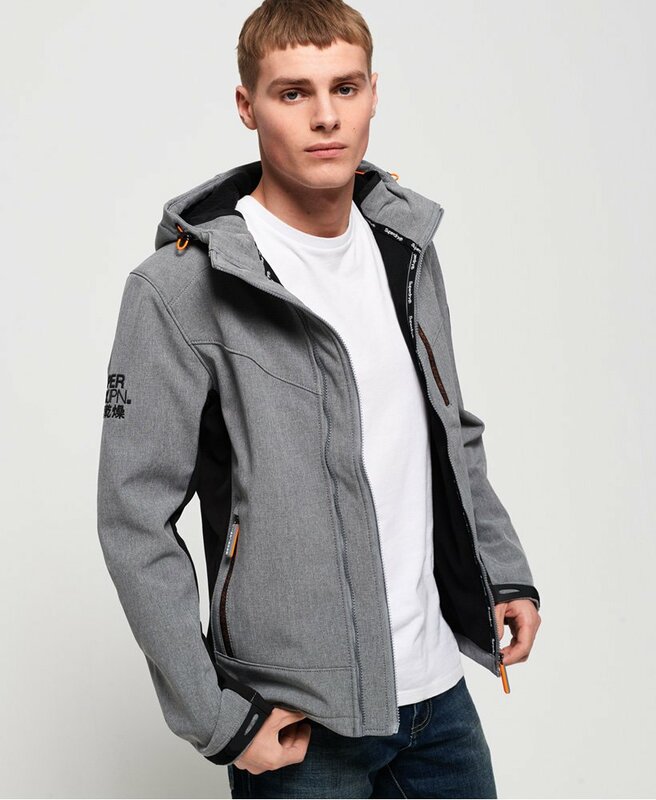 Superdry men's hooded Paralex SD-Windtrekker jacket. Crafted from a new and improved stretch fabric for your comfort, this windtrekker features a bungee cord adjustable hood, single layer zip fastening and three zipped front pockets. This jacket also features a zipped pocket on the sleeve and hook and loop adjuster cuffs. The Paralex SD-Windtrekker is completed with panel detailing down the sides and sleeves and a Superdry logo design on one sleeve.